Hey there my lovely people! How are you? 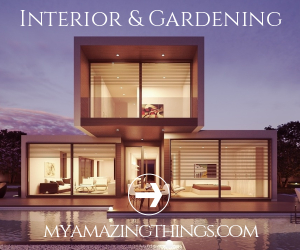 Spring is here so we should all reorganize our backyards and make them more inviting and comfortable for living. I love spending my free time outdoors, so I searched the Net to find some ideas. 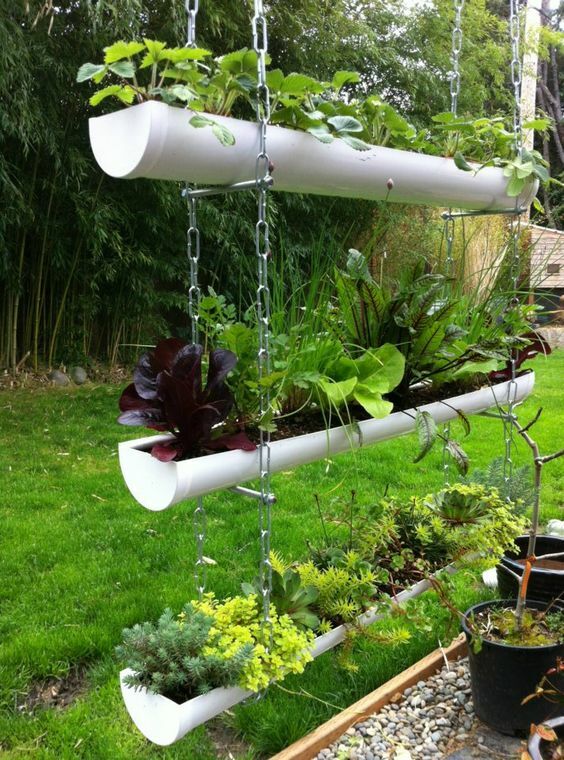 I found million ways to enhance any spot of the yard, but the gutter gardens caught my attention. So, for today I rounded up the coolest and the most beautiful ideas that I’m 100% sure that you will like them too. Rain gutters are built to be mounted on the edge of the roofs of all buildings, but they can be mounted on almost any vertical surface – a deck railing, wall, the side of the house, etc. Let’s take a look at the ideas here and get inspired to take advantage of the vertical space around our houses. Enjoy and have fun! 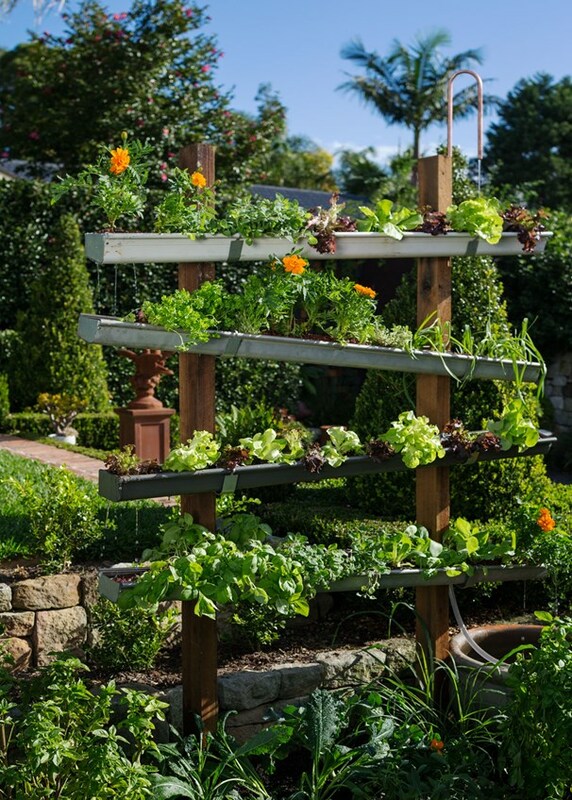 By creating such gardens, you will save a lot of space, but you will also keep the pests out! 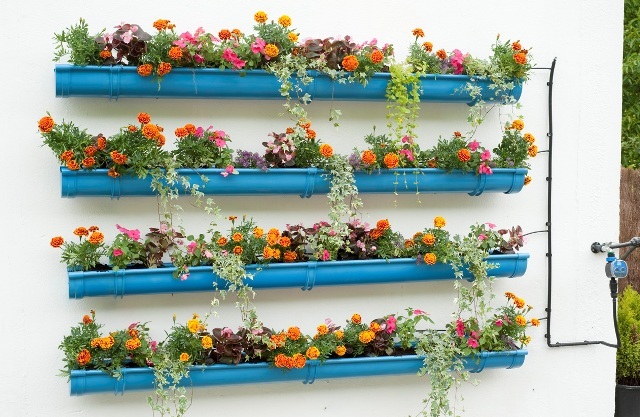 Turn the old gutters or the leftover pieces of the new ones and turn them into magnificent, and very functional planters for your favorite flowers and leafy veggies. Gutters are very easy to find and are basically free. 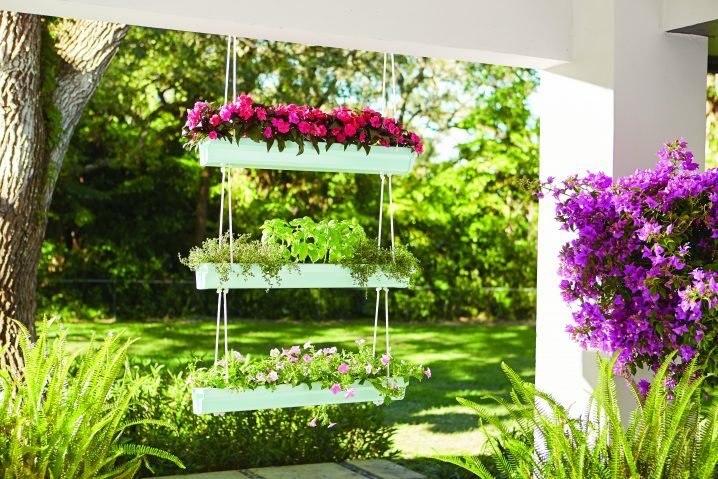 Their structure is ideal for this purpose as they can provide proper drainage and can hold the soil and plants. 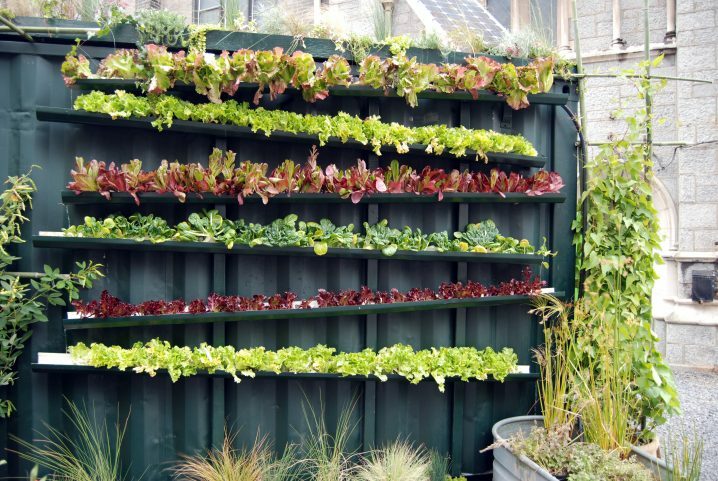 Aside from being lovely planters for healthy fruits and vegetables, they can serve as outdoor dividers or privacy screens. 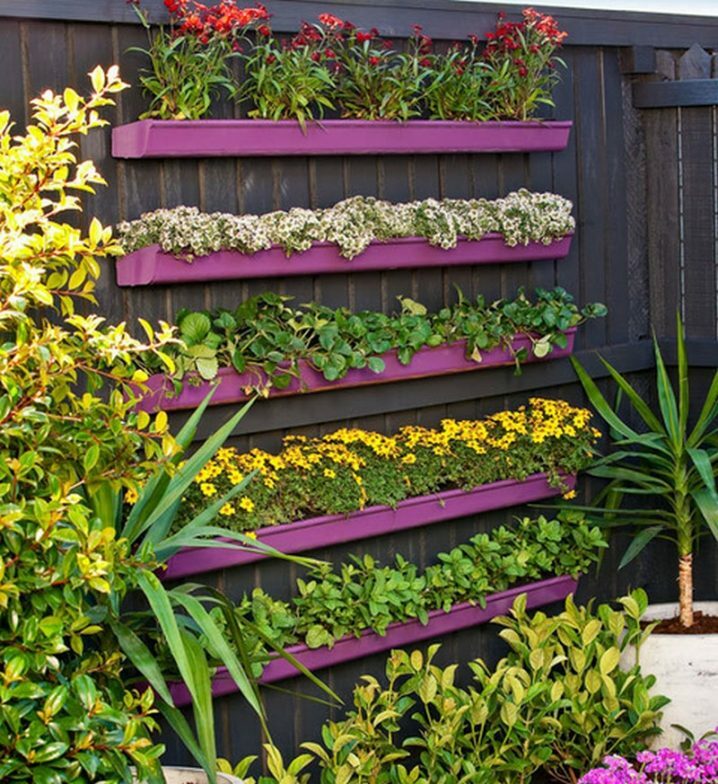 And when mounted on a fence and planted with cheerful flowers, they can create an amazing green feature wall in your yard. 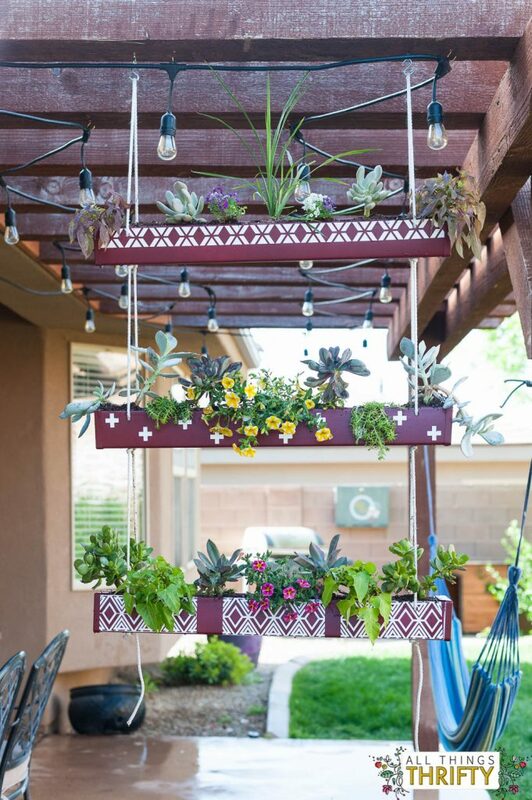 For more fabulous, cheerful and fun look, you can paint the gutters with some bold color. For instance, you can go with bold blue, pink or red. You can even express your painting skills and draw something on them. 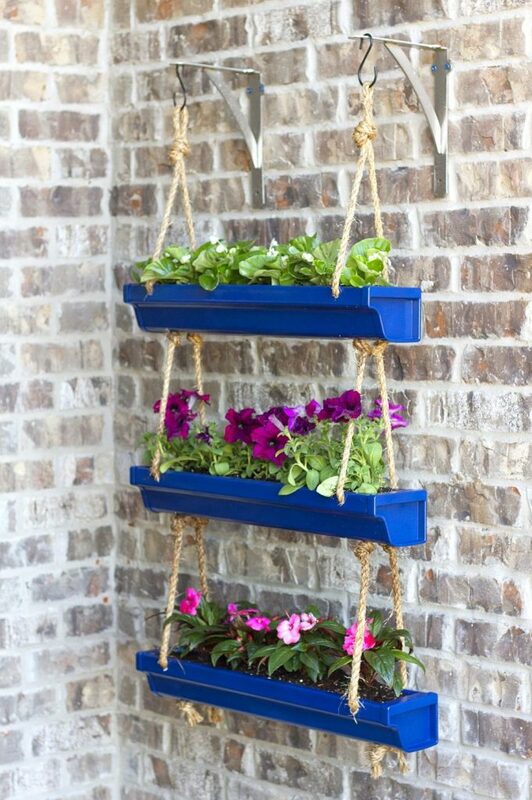 If you already have old guttering that is taking up space in your garden, then you should go and transform them into beautiful vertical gardens. 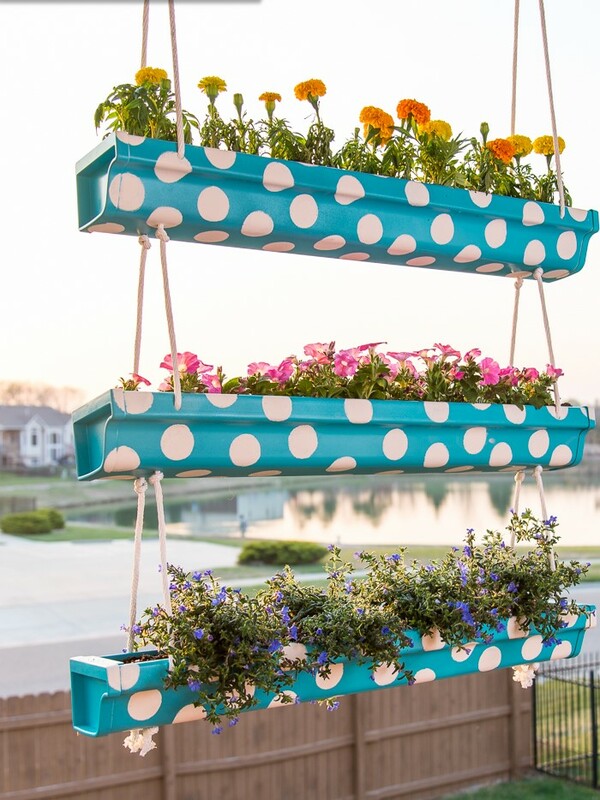 So, what do you think about these garden ideas my dear people? Do you find them gorgeous and cheerful as I do? Share your thoughts with me in a comment below! 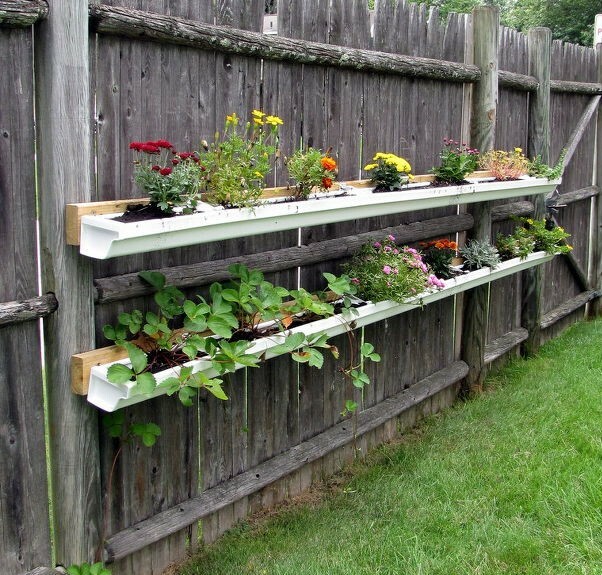 If you have some other ideas to make beautiful gutter gardens, please share them too – I would love to see everything you have to show me! Thank you for reading! Enjoy in the rest of your day and don’t forget to stay up to date with the content of Top Dreamer!